Kraftwerk from Düsseldorf, Germany, is an influential electronic music band formed by Ralf Hütter and Florian Schneider in 1970, and was fronted by them until Schneider's departure in 2008. The signature Kraftwerk sound combines driving, repetitive rhythms with catchy melodies, mainly following a Western Classical style of harmony, with a minimalistic and strictly electronic instrumentation. The group's simplified lyrics are at times sung through a vocoder or generated by computer-speech software. Kraftwerk were one of the first groups to popularize electronic music and are considered pioneers in the field. 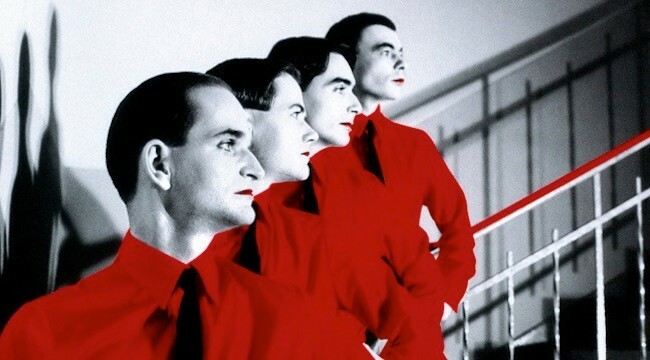 In the 1970s and early 1980s, Kraftwerk's distinctive sound was revolutionary, and has had a lasting effect across many genres of modern music. According to The Observer, "no other band since the Beatles has given so much to pop culture" and their influence ranges from such artists as Orchestral Manoeuvres in the Dark, David Bowie, R.E.M., Daft Punk and Coldplay to Madonna, Jay-Z, Kanye West, Missy Elliott and Fergie. In October 2012, Kraftwerk were nominated for induction into the Rock and Roll Hall of Fame.